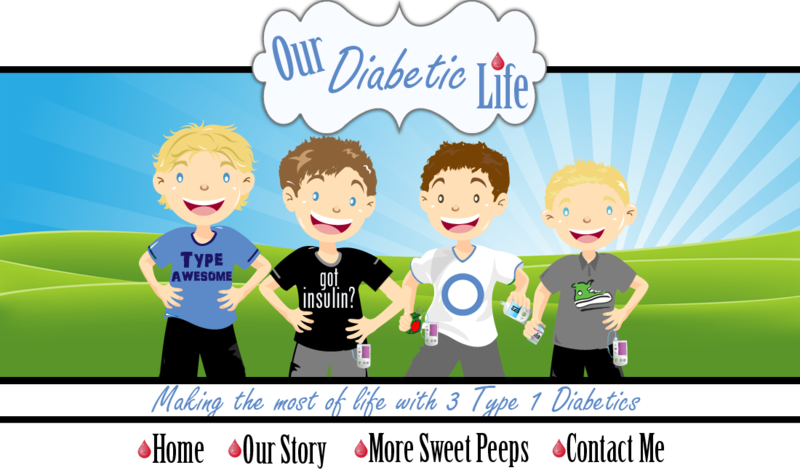 Our Diabetic Life: So can I.
I remember the very first shot I had to give. I hated it. It was the hardest thing I ever had to do. My husband was so cool about it all. If he was scared, he didn’t show it. He grabbed that needle and bam, done. I on the other hand, had to give my first shot into an orange, then a couple more practice ones into my husband’s arms. The emotions ran through me like a wild fire. I couldn’t douse the fear. I couldn’t stop the anger, the sadness, the confusion…I was sure I would poke him too hard. I was sure I would do it wrong. I dreaded that bubble of insulin that would sometimes rise out of the needle hole in J's flesh. He got such a small amount of insulin…who knows how much of his dose that bubble held? How could I do this? How could I hurt my baby multiple times a day? At the time it seemed impossible. I was sure he would grow up hating me. It all seemed so surreal. Ten thousand shots later…we got the pump. By then I was desensitized. Shots were nothing to me. It helped that my baby was a veritable Mighty Mouse. He was stronger than me. He accepted his lot before I did. It was his acceptance and his strength that helped me succumb to the numbness. If he could live without complaining…so could I.
I don’t think I’ve ever thanked J for that. So here we are 12 years later and tonight I had to insert a new pump site into L. His came off after his bath and my husband was out of town. My husband is the go to site changer. I’m only the back-up these days. Because tonight, after I shot my son with that ridiculously long needle…every one of those emotions I had 12 years ago came flooding back. L’s face spoke novels of pain. He twisted his mouth to hide as much as he could. He didn’t want me to feel bad, but I knew what I had done. How do I do it? How do I get through? It’s all them. If they can go to bed at night NOT cursing this disease, so can I. If they can go through the day with no bitterness of the fate life has thrown at them, so can I.
Diabetes is their disease. They refuse to give it more power than it deserves. I have to let them live without the hate. I can’t foster it in them. I can’t light fires of discontent. I will continue to let them lead me, because somehow my children teach me more than I could ever teach them. The brightness of their examples will always be the light barreling through my dark days and my sleepless nights. They are wiser than me. They are stronger than me. They are stronger than diabetes. Which made me realize, as I looked into the resolute, teary blue eyes of my 6 year old tonight…I want to be like my boys when I grow up. If they can do it...so can I.
Meri, This is what I live day-in and out. Thank you for putting it into words. I love it. I love you. Our children our beautiful. Tears of pride and joy over their heroic spirits...all of them. Beautiful!!! Our kids are amazing, aren't they?! There's so much we can learn and gleen from them. My first days of D were similar to yours. Shots terrified me. It took me a week to build up the courage to do it. "They are wiser than me. They are stronger than diabetes." THIS. So true. I am amazed every single day when Adam just takes his shots like it has been part of his life every day. How he NEVER forgets to remind me to give him his insulin. How he walks up to kids and says, "Hey! I have diabetes!" Like it's no big deal. Oh, Meri! The beauty in this post makes me cry! Your children are so blessed to have you! I don't think I need to tell you that you're blessed to have them! You know what's funny? 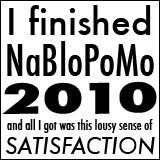 I never, not once in 24 years, cursed, hated, or detested diabetes. Not once until the day it struck Lily. Feeling things as a mom is so incredibly different from feeling things for yourself. Big hugs to you and your incredibly amazing boys! This made my eyes tear up. It was the same way for me and my husband in the beginning. He was able to do the injections right away no problem. It took me a while to gain confidence and not be worried about hurting my child. Because my husband works, often until late in the evening, I am the primary site changer. I never ever thought I could do this..but here I am. D forces us to face up to our fears and find our strength every day. And our children are the true heroes. I want to be like my son when I grow up too.. I don't for one tiny second believe that your kids don't handle their D as well as they do BECAUSE of the way that you do - because of the example that you have set. (There are several negatives in that statement, but I hope it says I believe that you are the reason, at least partly, why they handle this so well - you and your husband). They get strength from you, and you from them and around and around it goes. You speak the words of my soul, Meri!! Jada amazes me and I tell myself the same thing, if she, at 5 years old, can live this hell and not bat an eye, then I CAN TOO! Our kids are so absolutely amazing! Holy Crap Meri, You took the words right out of my mouth! Are you a mind reader? Seriously! Thank you so much for sharing what is on your heart. Amen sister! You said it when you said that if they can do it, we surely can. If my girl doesn't complain and gets on with life, who am I to tell her she should hate it and curse it? Get on, get with and get over - there is lots of living to be had on this short ride we call life. Your boys and you have the same great idea - enjoy it. So, need a confident booster here...what about on the days where you truly feel you can't. When the two year old is screaming with his hands hidden under his body and you're begging him to let you poke him. Ugh. It's been rough and I keep reading all of the other blogs feeling like I'm still alone, struggling, messing up daily and torturing my child endlessly. Double ugh. Sarah Sarah Sarah! You are SO not alone!! 2 year olds with diabetes are a completely different animal. They are programmed to fight everything. I'm not sure why J didn't fight it. Maybe because he was diagnosed at 8 months, and by the time he was two just figured that was how life was. He fought everything else though! But I can say this: If I started blogging 12 years ago when J was a baby, this would be a VERY different blog. It wouldn't be pretty I can assure you. More then the blog circuit though, are you on Facebook? Woman...that is "keeping it real central!" I have many friends with small children who blog many times a day about the frustration of it all. (Including me.) I think that is where you would find the pulse of the D mothers' daily lives. If you aren't on Facebook...maybe now is the time, because trust me...one status update about your son hiding his hands...and you will get a hundred comments from woman who have totally been there. And man, that is so comforting! Or, you can do what I did year ago...say "I can do it!...until my husband gets home." and then throw your two year old in his arms and head out to Kohls, or Target and mindlessly wonder the store until your brain becomes a little less swelly...and return home only after the kids are in bed. :) Yes...I have done that more times than I can count. You are doing it friend! You can! You will! Luckily, he won't stay 2 forever! And luckily I know what everyone else who reads your blog knows...you are an amazing mom and an amazing person! And, Sarah...oh, SWEET SARAH! I remember 2. You are so not alone....this is so hard. I remember when Sugar was 2...I remember thinking that I couldn't do it one more day. Not one more check. Not one more carb to count. And then I made it to the end of the day and told myself that she was alive. And, for a very long time, the mere fact that she was alive was the only victory I could claim. Oh, I hate that look. I use to say "I'm sorry" every time I gave Justin a shot. I did this for months. Until one day he says... "Mom, you DON'T have to say your sorry every time". Sadly, those words broke my heart too. I am so amazed, too. How do people so young handle such a big disease? Especially when I struggle so much sometimes?? I'm the primary site changer in our house. It's hard - I want to push DJ to do more of them so that they are both more comfortable with it but she always requests me and it seems heartless to say no, you know? Ugh. We can learn so much from them, can't we? I am always amazed at how well Elise deals with all the finger pokes, shots and sensor insertions. Even when she's having an off day, I just remind myself how great she is 99% of the time. Our kids are so amazing, aren't they? I wish I could be HALF that amazing and strong. Sarah, my heart breaks reading that. I remember those days, even though my daughter was 4 when she was diagnosed. I remember her sitting on her hands screaming and crying. I remember her curling up into a ball crying when she knew it was "shot time" and yelling at me "Don't come near me with that thing!" My heart broke. Almost 6 years later, I still cry thinking about it. Meri, that was beautiful post. PS..."tough as" is Kiwi speak. Sweet as, tough as, smart as....as WHAT exactly I don't know, but I am starting to pick it up! Meri-thanks for letting me hijack your comments a little bit. I am on facebook "Sarah Kelly" just not sure how to find all of you lovely ladies. I appreciate all of your post. I know I'm not alone, but some days are definitely more daunting than others. 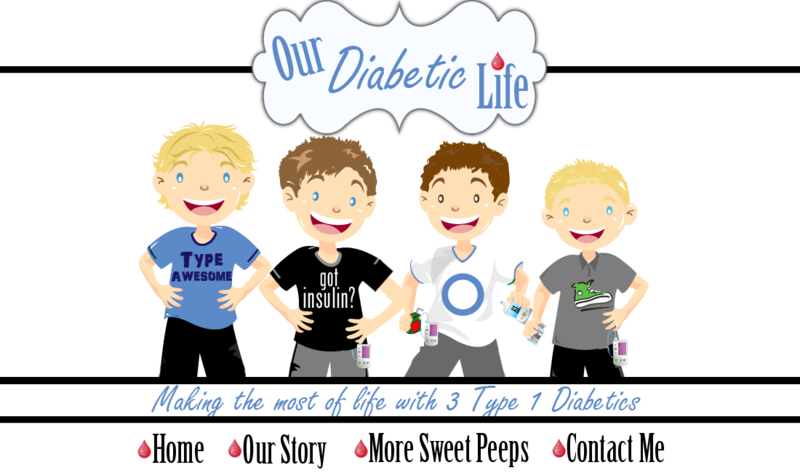 Thanks a million for your reminders that many have been there and made it through the twos with a child with diabetes.